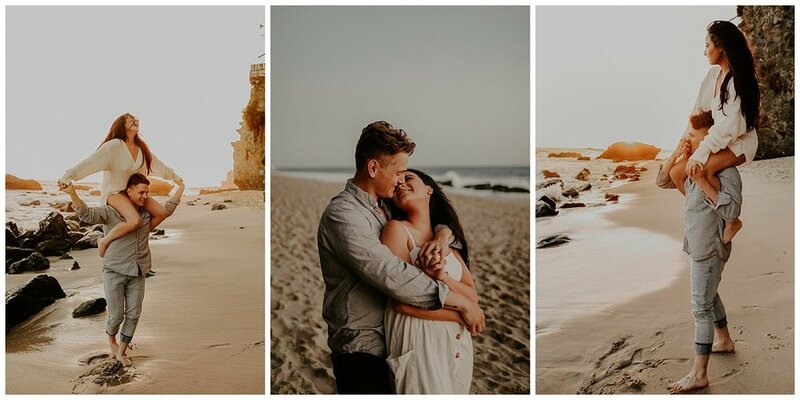 I was in Laguna beach for 3 days and and these two Sandiego babes booked me for their wedding next year, we ended up planning a last minute sunset shoot while I was in town and man was it perfect. Thousand steps down to the beach + Barefoot + running the whole time, little did they know this shoot was going to be a freakin' workout. As the sunset and we slowed down the running we did some epic rock shots with the waves crashing- this is where my wallet got swooped away by a wave haha. These two were so positive + just rad people it was hard to even get mad haha so thankful for them. I can't wait for their wedding next year. Whooo! !